The release of SharePoint 2016 is right around the corner and the upcoming Microsoft Ignite conference in May should confirm this. But for those of you who want to know some of the details before it’s available for purchase, I’ve gathered some insights into what the new version will include. If you haven’t already, check out my earlier blog detailing How SharePoint 2016 Will Improve Your Business to see the business benefits of the following enhancements. Hopefully, these improvements are just what you need to help move your business forward! Expect more control of permissions when sharing links with outsiders. 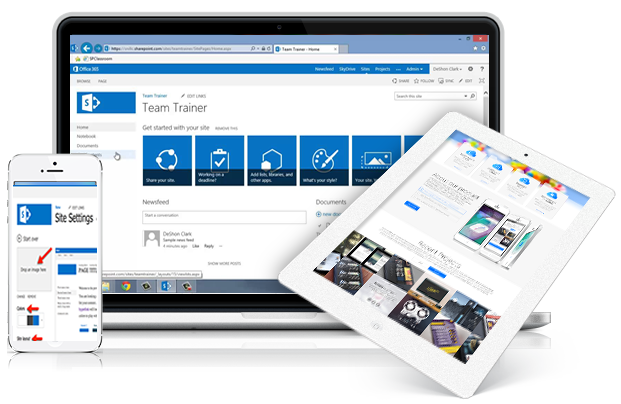 Also, video sharing becomes easier through a video sharing portal in SharePoint that makes training and marketing materials easier to distribute. Tighter integration with Office 365 will yield improved indexing and analysis features embedded in the new Delve content search functionality. Search and recommendations will pull from even more sources with SharePoint 2016 to create an enhanced personalized, defined search result. You’ll be working with better insights into the networks that mean the most to you and your users. Social improvements start with better Yammer integration to avoid social silos. Again, more integration with Office 365 Groups yields discussions amongst users and encourages collaboration within specific workspaces that integrate SharePoint file sharing with Exchange-hosted group conversations. Look for Yammer discussions with Lync in the near future. 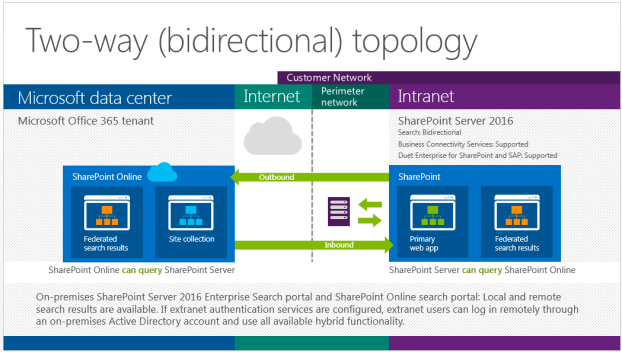 BI will continue to be an important play for SharePoint 2016 enterprises getting the most from SharePoint and SQL. BI filters down closer to the users with Power BI in Office 365, and Business Connectivity Services will continue to bring external big data into your domain for analysis. Finally, data loss prevention comes to SharePoint 2016. This feature recognizes sensitive data like social security numbers to help businesses comply with privacy regulations. Microsoft’s eDiscovery component locates and enforces data retention to protect data loss prevention for files that were downloaded from on-premises file shares. Look for an update to address content management where it lives, even 3rd party clouds. 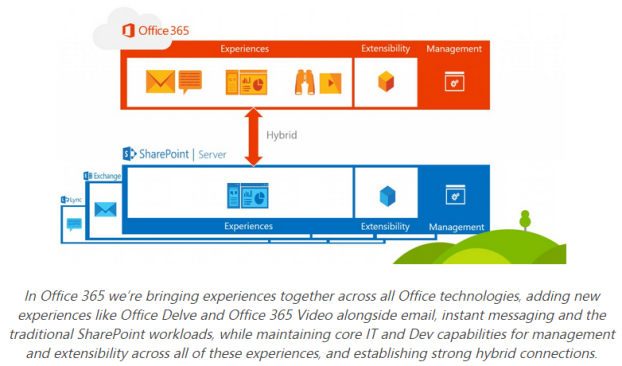 Easier migration from SharePoint to Office 365 and vice versa will improve the relationship or coexistence of SharePoint Online and SharePoint On-premises for hybrid environments. System Center capabilities will also improve for tighter integration and Cloud portability. Look for big enhancements in APIs and tools for file sharing, authentication and even development with Office 365. Create apps for SharePoint that finally handle the custom file types stored in SharePoint. This customization will extend to other parts of design to help catch the platform up with demand for improved responsive web design and web-based forms tools, among others. Security continues to evolve along with the Microsoft platform. SharePoint 2016 will now include better Rights Management, Multi-Factor Authentication (MFA), eDiscovery, Legal Hold, Metadata Management and Policy Control, Data Loss Prevention (DLP) and Mobile Device Management (MDM). If any of these changes are important and not being replaced to meet your needs, an on-premises install of SharePoint 2016 or a hybrid deployment may be warranted. Currently, the tools we use to bring people together are different in each application – distribution groups in Outlook, buddy lists in Lync, groups in Yammer and Team Sites in SharePoint 2016. Groups is the new feature that ties all of these applications together. Linking together your Yammer Groups with your SharePoint 2016 Team Sites and communicating with your Group in Outlook will streamline the way we work to get more done, faster. Quickly and easily plot your Excel data on a map with no programming skills required. Power Map is no longer just for geographical map plotting. With Custom Maps, just choose an image stored in SharePoint 2016 – like a building floor plan, a map of highway transit, or a SharePoint 2016 farm architecture – and instantly transform your data into a impactful visual story. Power Map is part of the Power BI functions found in Office 365. Hit highlighting – Useful when searching text heavy pages. Directly connect SharePoint 2016 to Azure for higher security, better reliability and lower latency. 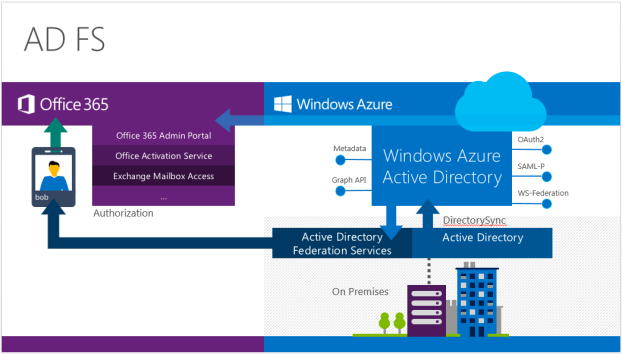 Azure ExpressRoute enables you to create private connections between Azure datacenters and SharePoint 2016 infrastructure that’s on your premises, co-located, residing in a 3rd party Cloud or service provider like Fpweb.net. ExpressRoute connections do not go over the public Internet (IPSec VPN not needed). 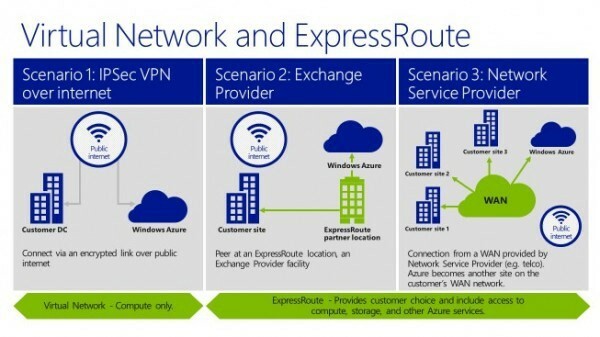 You can also directly connect to Azure from your existing WAN network (such as a MPLS VPN) provided by most of the major TELCOs. An easy-to-use cache created using Azure Redis Cache is accessible from any application within Microsoft Azure. Azure Redis Cache helps your application become more responsive even as user load increases. This separate distributed cache layer allows your data tier to scale independently for more efficient use of compute resources in your application layer. This service could be handy for reducing latency of global SharePoint 2016 deployments at the application layer and prompting content delivery networks (CDN) like Akamai to deliver more value. Have a hybrid SharePoint environment? Need to work with both on-premises and cloud data? How about working with both structured and unstructed data sets? Data Factory enables you to process on-premises data like SharePoint 2016, SQL Server, together with cloud data like hosted SharePoint, Azure SQL Database, Blobs, and Tables. Data Factory shines because you can access your SharePoint 2016 data and merge it with Cloud data thereby not having to change data models. For you data junkies, it supports: Hive, Pig and C# processing, automatic Hadoop (HDInsight) cluster management, re-tries for transient failures, configurable timeout policies, and alerting. Machine learning creates predictive analytics to mine historical data with computer systems to predict future trends or behavior (similar to IBM’s Watson). Search engines, ad targeting, demand forecasting and spam filters are services that use a similar technology. The downside of this sort of functionality is that it requires extreme compute power. So while you may be shrinking your data center requirements and leveraging the Cloud, some companies do still have the need, at least periodically, for this type of power. You can turbo boost your SharePoint 2016 environment and extend it into Azure with Machine Learning when needed. ML Studio, an integrated development environment, uses drag-and-drop gestures and simple data flow graphs to set up experiments. Predictive analytics is now available for the SharePoint 2016 masses. Now delivered logically via Access Control Lists (aka Network Security Groups) provide segmentation within a Virtual Local Area Network (VLAN) as well as full control over traffic that ingresses or egresses a virtual machine in a VNet (VLAN). You can architect DMZs (demilitarized zones) to allow users to tightly secure back-end services such as databases and application servers. SharePoint 2016 web front ends (WFE) should sit in a VNet 1 and have a DMZ created via Network Security Groups to effectively “firewall” the WFEs. Active Directory (AD) and SQL database (DB) also reside in VNet 1 but live “behind” the logical firewall created via Network Security Groups (ACLs). The access control rules support the standard 5 tuple (Source IP, Source Port, Destination IP, Destination Port and Protocol) along with a priority to allow users to achieve granular control of SharePoint network traffic and Quality of Service (QOS). The Network Security Group can be applied to a subnet (within a virtual network) as well as to individual SharePoint 2016 VMs thereby enabling a two layer protection. The rules within a network security should be modified and updated independent of the SharePoint 2016 VM allowing the management of access control lists (ACLs) outside the life cycle of a VM. Manage your IPs and VNets carefully to avoid conflicts and possible data storms. Websites and Mobile Services can access existing SharePoint 2016 on-premises data and services securely. 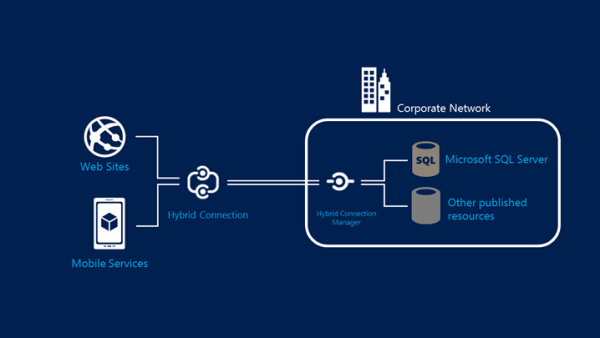 Connect to any on-premises resource that uses a static TCP port, such as SharePoint 2016, SQL Server, MySQL, HTTP Web APIs, and most custom Web Services. Can be used with all frameworks supported by Azure Websites (.NET, PHP, Java, Python, Node.js) and Azure Mobile Services (Node.js, .NET). Websites and Mobile Services can access on-premises SharePoint 2016 and other resources using the same connection string used on-premises for simplified connection coding. Secure integration between your Azure VNET and your Azure Websites. Note: you cannot place your Azure Website in an Azure VNET. The Virtual Network feature grants your website access to resources running your VNET. This includes being able to access web services or databases running on your Azure VMs. If your VNET is connected to your on-premises network with Site to Site VPN, your Azure Website will now be able to access SharePoint 2016 On-premises and other systems through the Azure Websites Virtual Network feature for a slick hybrid Cloud. You can use trusts, ADFS or a Cloud authenticator like Azure AD, Ping or Okta. Trusts are simple and bullet proof. ADFS is more complex and expensive to set up but works well once up and running. Cloud authentication is simple to set up but has inherent risks so more diligence is required. To summarize, there’s a lot to look forward to with the upcoming SharePoint 2016 release. Microsoft has listened and continues to improve the platform to help optimize your experience both within and outside the workplace. Expect more coverage as we learn more about what makes the new version tick!